My 13-year old son, Niall. Here is a nice album of photos (thanks to Lisa Roah Photography) from yesterday’s league championship game. He pitched well (allowed one run) and hit a towering dinger–in a nail-biting 4-3 loss against the Dodgers. 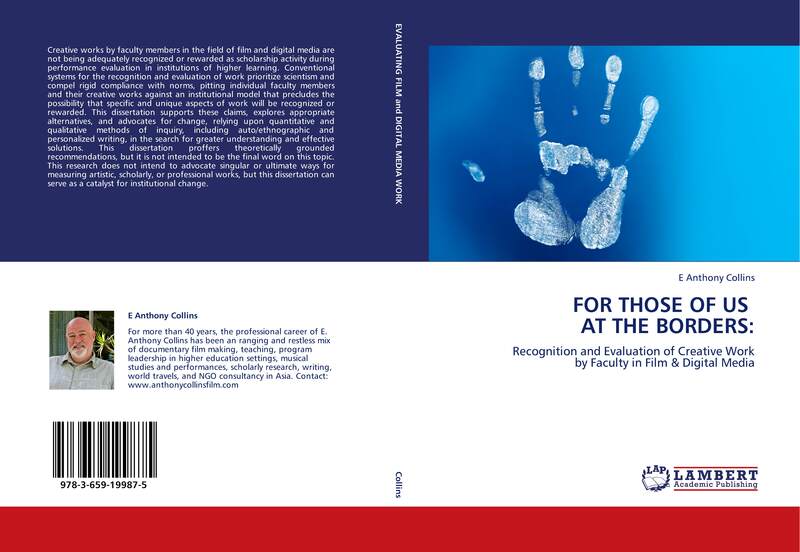 The publication of my first book! Anthony Collins, Jr., PVHS Football 2012, and the best highlight reel EVER! I had a dream last night that was full of music, specifically, Saturday Night Waltz–from Aaron Copeland’s RODEO. To my ears, this is a melodic dance from a timeless heavenly valley. I have loved that piece since I was a 3-year old boy. I don[‘t recall the story of the dream but I was clear about the music in my head. The melody shaped my morning and was in my heart and ears as I started my day–then a miraculous and surprising thing happened that elevated me from the mundane to the sublime. I got in my car and started down the road, and as I drove I turned on KUSC and whamm0—-guess what was just starting? SURPRISE–It was Leonard Bernstein, NY Phil, and Copeland’s RODEO! It was a cosmic convergence of music, dream, and my emotional state of mind. It was a rainy morning with grey skies, but hearing that piece after just dreaming about it was invigorating. I was prepared for flight to celestial heights as the entire RODEO was heard but I never imagined that it would be so conveniently available. When the Saturday Night Waltz started, I surprised myself and found a sudden burst of anxious happiness and whimpering sadness at the same time. The melody was soaring and I could imagine Bernstein pulling every fibre of human expression from his musicians. Then, while the music played, I started missing my good friend, RL Bob Morgan. He died last July and I have missed him ever since, but this time the loss hit me all of a sudden and really packed a punch. I missed him because of his caring heart for others, his vast knowledge about most everything, his wit, his true ability to have conversation upon conversation over the years that resonated with meaning, and his sensibilities in music along with everything else. I recall so many times we would talk–in my van while cruising down Baja Hwy 1, in a hot springs bath in Saline Valley, in so many other situations since we met in 1957. He and I were about 3-4 years old when we discovered Copeland’s RODEO in his collection of 78s, along with Peter and the Wolf, Mozart Symph #40, Tchaikovsky’s Nutcracker Suite, Burl Ives folk singing, and so many others. Bob knew a lot. He would think and feel something deeply whenever he did what he did. For me, Copeland’s Saturday Night Waltz has held a mysterious and lasting grip on my psyche and in that cold rainy morning in the car and with the radio blasting it was able to open a flood gate of memories and emotions for me. It made me cry inside as a child, and it made me sob yesterday morning out loud without concern of who would notice me. I kept my ears open as I wept. In my heart and in my throat I cried out loud I cried like a demolished spirit. I was happy and sad at the same time. I missed Bob at that moment and for some reason I had a conflicting and mixed sense of hopelessless, aesthetic purity, and a true sense of loss about life in general. In hindsight, it’s all a good thing and I am glad that I am able to feel something and remember something that elevates me. What a great piece of music it is, and thank you Aaron Copeland for giving that music to us. I find so much joy these days when I go out and watch my kids play sports–all three of them are involved in an array of sports—baseball, soccer, softball, rugby, football, basketball. Here is a photo taken last week of my oldest son, Anthony Jr., who is a running back on the PVHS Varsity football team. They played against Compton-Rancho Dominquez High. Every time Anthony Jr. carried the ball he gained 20-30-40 yards! Anthony is #2 and is carrying the football. 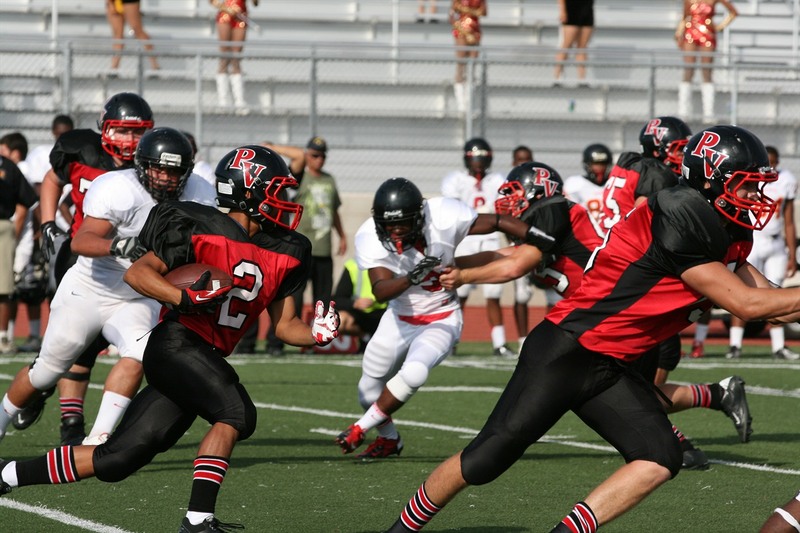 Watch out this week when PVHS plays Leuzinger High in our first intra-league game this year.